Everyone wants a promotion sooner or later in their career. Lots of federal employees have become “content” on the job and really reduced themselves down to just the status quo. Why is it that some employees climb the ladder of success much faster than others? It’s not just about your resume or how well you interview anymore. Branding plays a very important role in this process, but are most employees aware of their own brand? Brand You will provide that spark that may be missing in your career or those tips and tricks that will elevate you. Participants who attend will walk away understanding why their brand is so important, in their career, and they can begin to create their own personal plan of action to reach their next desired level of success. This program covers topics in the Career Development track. Executive Core Qualifications (ECQs) covered in this session: Leading People (Developing Others). Reginald Gant is a HR Professional, Business Owner, Author, and Consultant with more than 15 years of expertise working in HR within the federal government. He has personally trained over 20,000 employees across the nation, in multiple agencies, in his tenure. 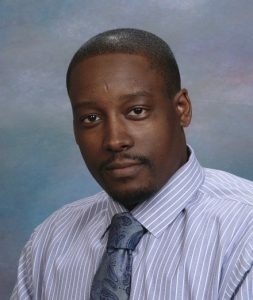 Reginald holds a Bachelor’s in Human Resources from the University of Baltimore, and is a Certified Work-Life Professional (CWLP). Additionally, Reginald is a twice a Best-Selling Author and nationally-recognized Speaker. But most importantly, Reginald’s pride and joy is being a proud husband, father, and servant leader within his community.